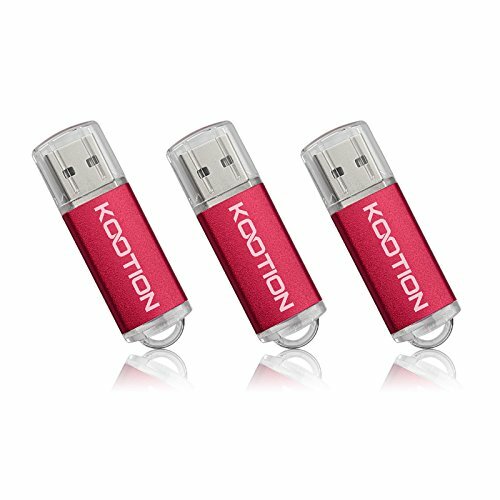 3 Pack of 32GB USB Flash Drive with great cost performance and high quality. The low failure rates, you don't need to worry about frequent rewriting after, the USB flash drives stop working. The flash drive comes with a protective cap, which shields the USB connector from damage when not in use. You can store music, photos, movies, designs, manuals, programs, handouts in a quick speed. Plug and work, no need to install any software, just simply plug into the USB port of computer or other devices and use it! It support windows 7 / 8 / 10 / Vista / XP / 2000 / ME / NT Linux and Mac OS, Compatible with USB2.0 and below. It works with virtually any computer or electronic device with a USB slot, this flash drive lets you leave your laptop at home but still take your vast amounts of content with you to share with family friends, workmates, clients and machines. Manufacturer warranty: 12-month warranty, let you purchase with confidence. Free lifetime technical support, if you have any problem about our product, please email us via bolycorao@gmail.com, we will do our best to solve your problem. If you have any questions about this product by KOOTION, contact us by completing and submitting the form below. If you are looking for a specif part number, please include it with your message.